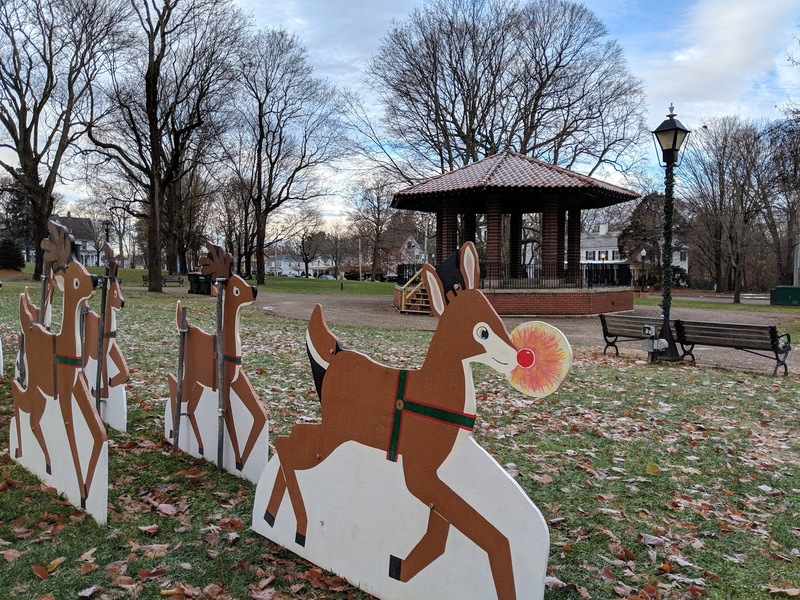 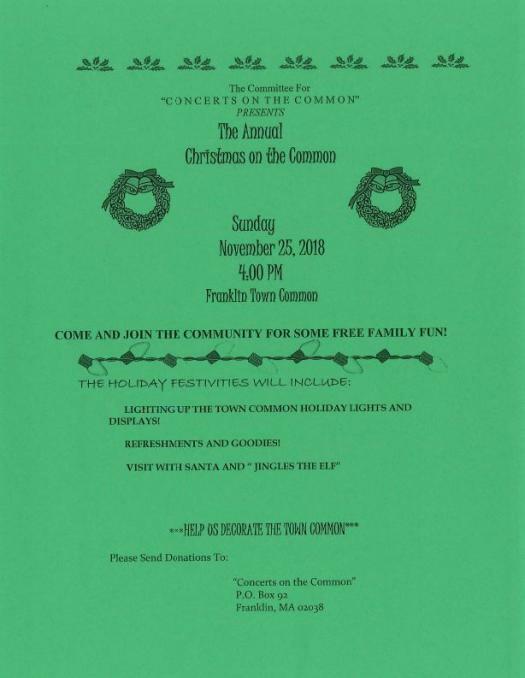 With Halloween behind us, Christmas rapidly approaching, the tree lights will be turned on at the Town Common on Sunday, November 25 at 4:00 PM. 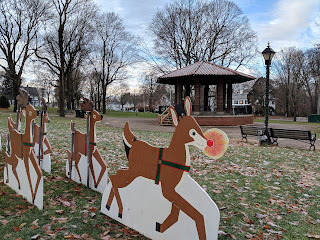 Santa Claus will be delivered via the Franklin Fire Dept. 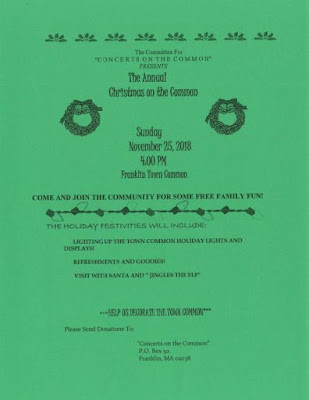 There will be music and refreshments and "Jingles, the Elf".